Swimming can be called as the mother of all activities and games. As it is the only exercise which gives total impact on all the muscle group in our body. 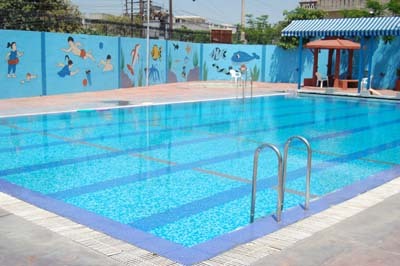 Ajanta Public School, Basant Avenue, Amritsar pool has acquired a unique status among other pools in the city. All health and hygiene parameters have been kept in mind. A separate filtration plant has been installed for keeping water crystal clear. A special staff swimming trainers are surveillance men have been appointed to provide proper training men have been appointed to provide proper training in swimming. Beside, all the greenery and scenic beauty around, the pool makes it more relaxing and enjoyable. School has ‘Splash Pool’ for tiny tots also.